On Wednesday April 18th (2018) Ken Jones and I proceeded into the beautiful city of Vancouver to enjoy the Okanagan Falls Winery Association Spring release Tasting 2018. It was being held at the Terminal Club. 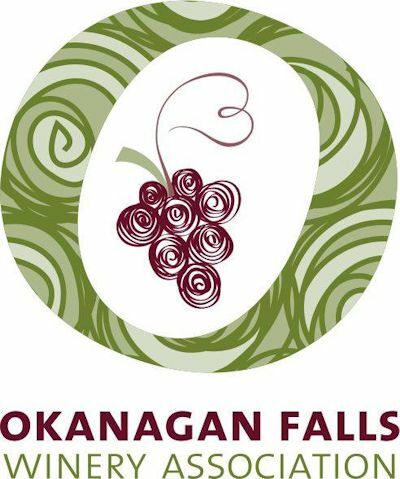 The wineries of Okanagan Falls are located along the shores of Skaha Lake to the tip of Vaseux Lake in British Columbia's Okanagan. Our first stop was at the highly regraded Wild Goose Vineyards and Winery. Here we chatted with owner Roland Kruger. I tasted the three white wine and Ken selected the Red Horizon Meritage a very good wine. The winery makes an excellent Gewurztaminer along with a fine Pinot Gris. Autumn Gold, another exceptional wine, is equal parts Riesling, Gewurztraminer and Pinot Blanc. This is a clean, crisp, white wine that carries aromas of orchard fruit, spiced apple and citrus. Next I visited the table of Crescent Hill Winery owned by Teresa Wiseman whose son and daughter were manning the table. I enjoyed chatting with then while tasting their selection of fine wines. Their Glennallyn an old vine Gewürztraminer is an exceptional wine indeed. I also like their Olde Orchard Muscat. Kraze Legz Vineyard was represented by owners Sue and Gerry Thygesen. Their winery is located in the historic town of Kaleden over looking Skaha Lake. They have a fine cellar of wines under the Skaha Vineyard label. They produce an outstanding unokaed Chardonnay. Their Skaha Cabernet Franc was sensational. It was on to Liquidly Wines where I was warmly greeted by winemaker Alison Moyers. She had some very compliments things to say about the website. Alison poured four spectacular wines. A very good Pinot Gris, a Viognier a Chardonnay and a nice Pinot Noir highlighted their selections. Next came Nighhawk one of Okanagan Falls newest wineries located near Sea Ya Later Ranch. The Pinot Noir was outstanding with a perfect touch of sweetness. I also enjoyed their Chardonnay. The owners of Noble Ridge where there to greet me at their table, Leslie and Jim D'Andrea. I had a nice long conversation with Leslie. In fact our conversation was so intense I only manged to tasted a couple of wines. Try their Pinot Grigio 2016 an excellent wine! My next stop was at the well know Painted Rock Estate winery where I was greeted by Lauren Skinner. The Merlot 2014, Syrah 2015, simply outstanding wines. The wine that really stood above the rest was the 2015 Cabernet Franc. It starts with a good aroma and finishes extremely strong. On the palate delicious flavours highlighted by cherry. Pentage is located at the north east tip of Skaha Lake It comes with an impressive 5000 sq ft natural rock wine cellar. Two of their wines stood out the Pentage Bend 2012 and the Syrah. 2013. Next was the newly opened Play Estate winery. Located on the south west side of Penticton. I was impressed by the Moscato 2016 and by their 2015 Syrah. See Ya Later Ranch had one of the better Reisling . Their was no principle at the table. The family owned Stag's Hallow winery established in 1995 is one of the areas most unique wineries. Here I chatted with owners Larry Gerelus and Linda Pruegger. They grow Tempranillo, Albarino and Muscat. I was impressed by the Albarino. It starts witha sweet aroma followed by peach, and apricot flavours hints of minerals. All in all it was a great event. Most unexpected was the delcious food served. One does not go to wine tasting expecting more than bread and chesees (lol). Thank you Okangan Falls Winey Association.